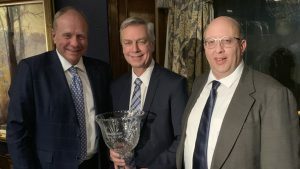 CN President and CEO Jean-Jacques “JJ” Ruest accepted Railway Age’s 56th Railroader of the Year Award at the Union League Club of Chicago on March 12. 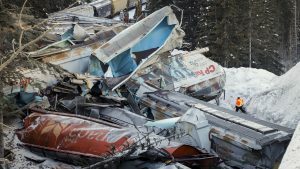 Canadian Pacific announced that it is appealing Transport Canada’s Feb. 8 Ministerial Order to address the securement of trains on mountain grades after a train is stopped by an emergency brake application. 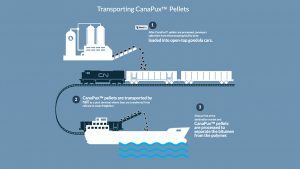 The Alberta Petroleum Marketing Commission (APMC) has signed contracts with CN and Canadian Pacific to utilize 4,400 DOT117 tank cars to transport oilsands crude (bitumen) to U.S. and international markets. 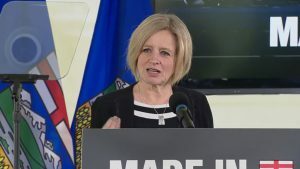 Alberta Premier Rachel Notley announced the plan, which also includes locomotive leases, on Feb. 19. 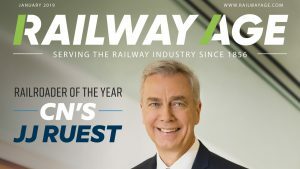 RAILWAY AGE JANUARY 2019 ISSUE: The 56th annual recipient of Railway Age’s Railroader of The Year award is CN President and Chief Executive Jean-Jacques “JJ” Ruest, leader of one of North America’s best-performing Class I railroads. 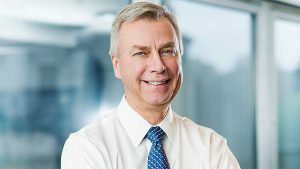 From applied chemistry to railroading, CN’s chief executive has always put the customer first. 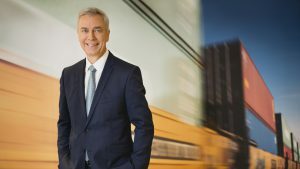 CN President and CEO Jean-Jacques “JJ” Ruest , Railway Age’s 56th Railroader of the Year, leads one of North America’s best-performing Class I railroads. 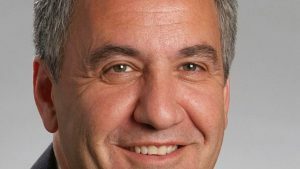 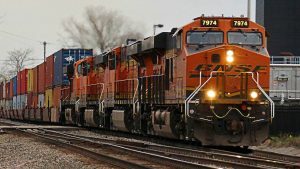 In this wide-ranging interview with Railway Age Editor-in-Chief William C. Vantuono, Ruest reflects on his distinguished career, and provides his vision of CN’s future. 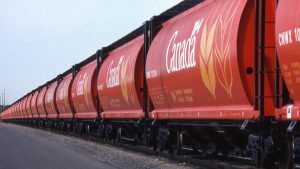 Ottawa is due repayment after Canada’s largest railroads, Canadian Pacific and CN, exceeded the maximum revenue for hauling grain allowed by federal law in 2017-2018.